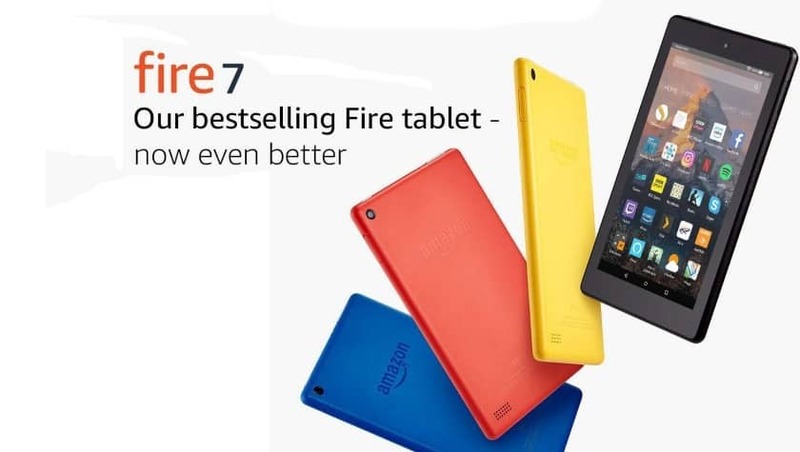 The Fire 7 HD is one of the best Tablets around. At a really good price, this quad-core Tablet packs a big punch in speed, compared to its size. It has a new Vivd HD style, with a resolution of 1280×800 which gives you a brilliant and vibrant screen to watch your favourite movies, Tv shows, viewing photos and much more. The FIRE 7 HD has two cameras, which allows you to Skype, take photos or capture videos in High Definition. Plus, as its Amazon product, you also get unlimited cloud storage for your photos taken on the Fire device! Check your emails, play games, share books, apps, movies and games. This little device will do everything the more expensive Tablets can achieve plus much more including Facebook, Netflix, Twitter, News feeds plus a whole lot more. So at this amazing price you need to check out the deal right now.